A meteorite appears to have crashed in eastern Siberia; no injuries or damages have been reported. Videos of the dramatic fireball lighting up the night sky are trending on social media. A celestial body, presumably a meteorite, fell to Earth in the Republic of Khakassia (2,700 miles east of Moscow), the official website of the city of Sayanogorsk posted on Dec. 6. 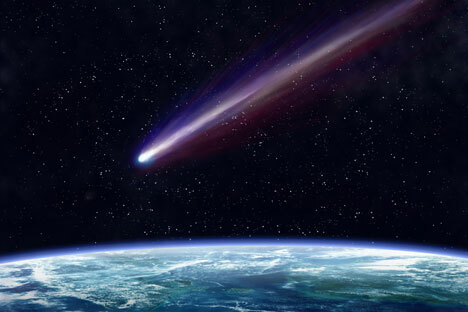 "According to the local Sayanogorsk office of the Ministry of Emergencies, a celestial body, presumably a meteorite, fell to Earth in the Beisk district. The Sayano-Shushenksya and Maina hydroelectric power stations, the Rusal aluminum smelters, and the city’s infrastructure systems continue to operate normally," the report says. Residents of Khakassia and the southern Krasnoyarsk Region have been posting to social media about a "glow in the sky." This meteorite is far less in size than the one that crashed near Chelyabinsk in February 2013, Viktor Grokhovsky of the Russian Academy of Sciences reported to TASS. "It is true that something like a large meteorite was seen to have exploded in the sky over Khakassia. The Chelyabinsk meteorite was several times larger. The fragments of the one that was seen today are still being located. It is essential to draw an accurate trajectory to see where the debris may have hit the surface. This will take about 24 hours," said Grokhovsky.